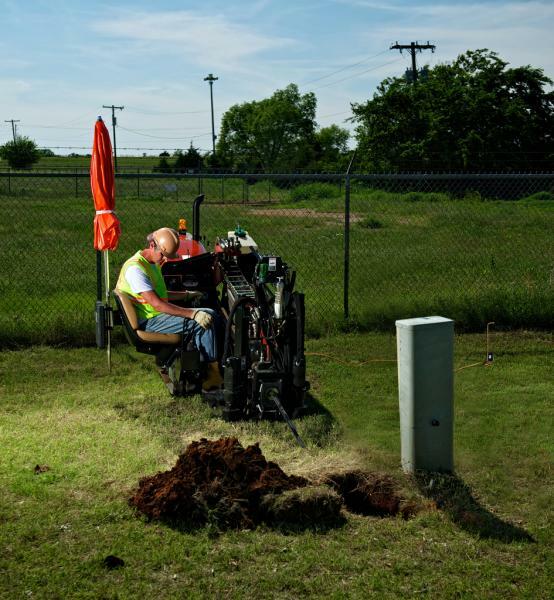 In residential areas, new utility installations rarely miss an opportunity to throw a challenge your way. 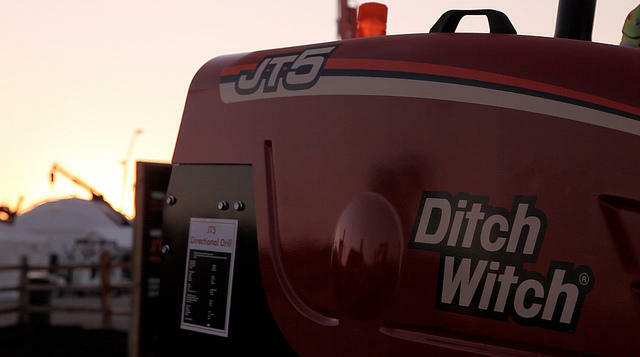 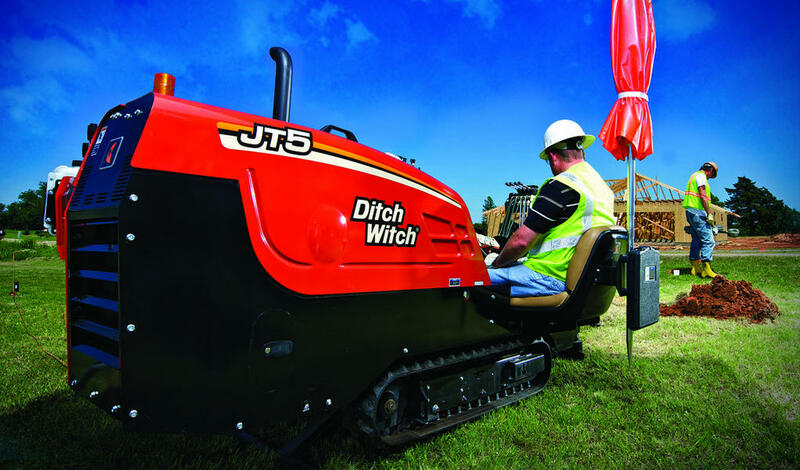 With the JT5 horizontal directional drill, you can proceed undaunted. 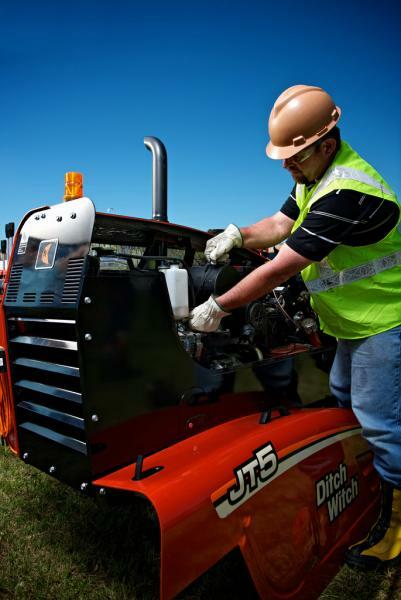 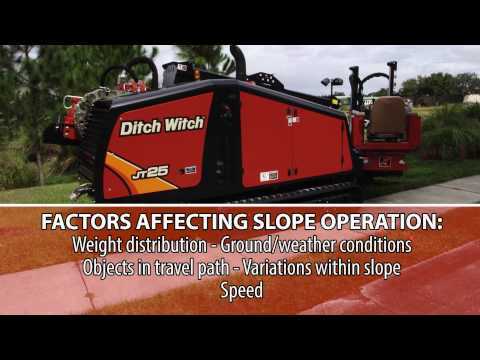 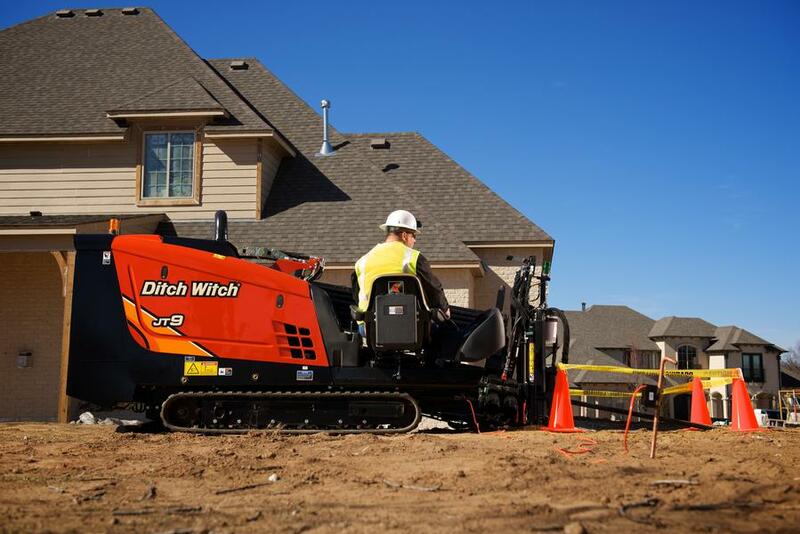 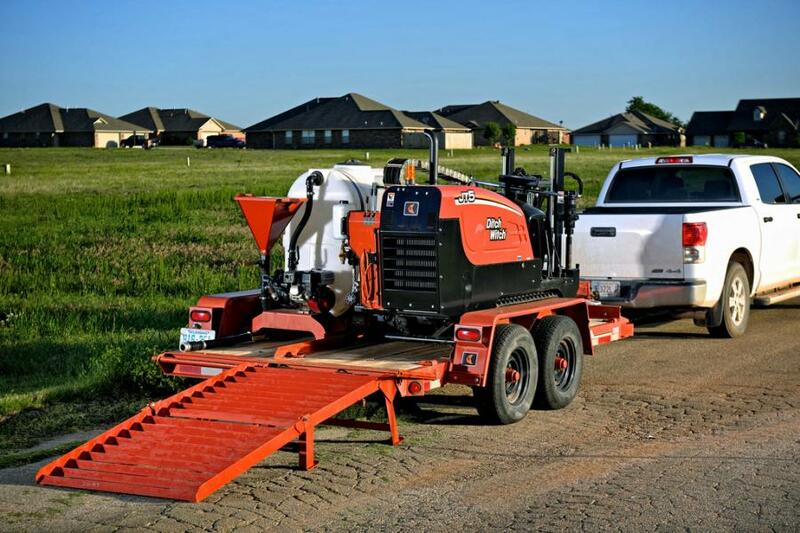 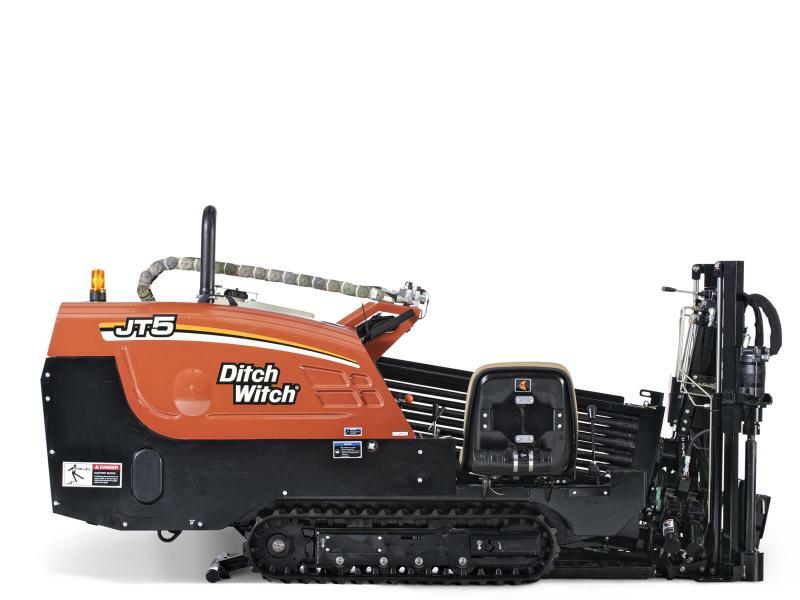 The JT5 was designed specifically—with very specific customer input—for shallow installations of cable, fiber and water systems up to 150 feet in length beneath roads, driveways, sidewalks, sensitive landscaping and other surface obstacles. 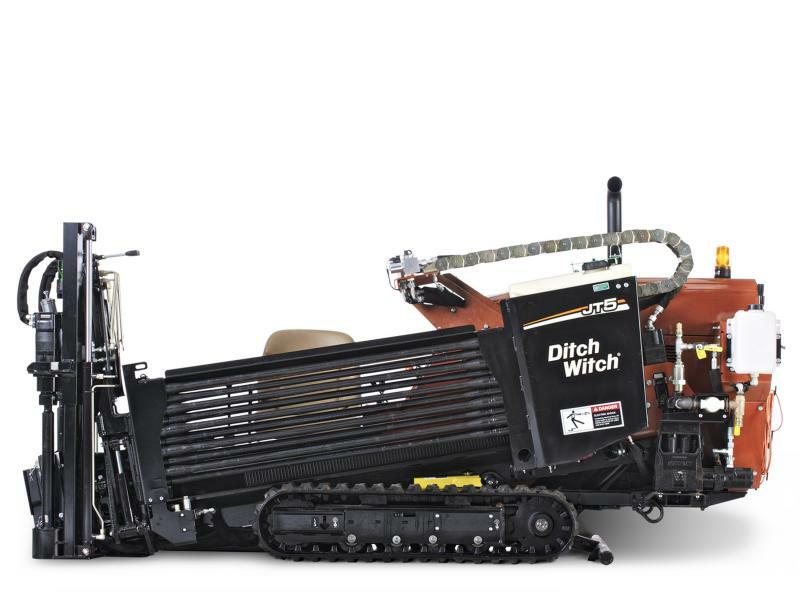 Innovative, heavy-duty anchor system keeps the JT5 secure during utility installation, reduces wear on pipe threads, and enables better alignment of drill pipe during makeup. 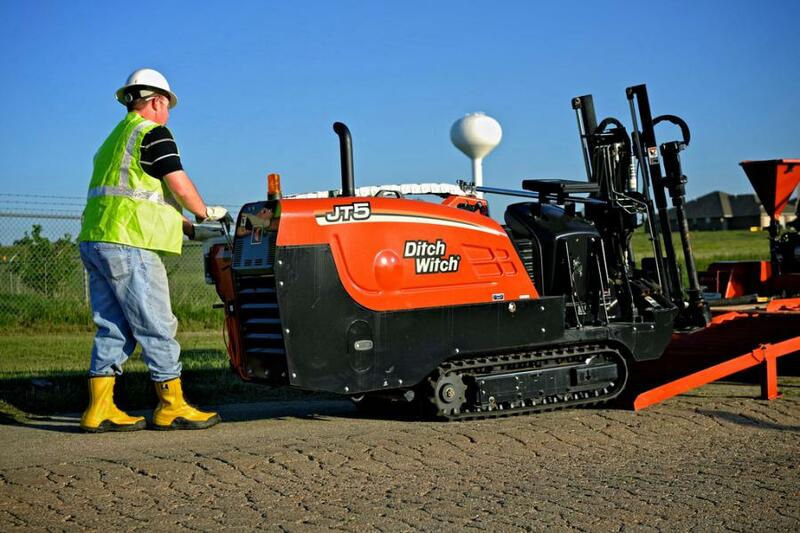 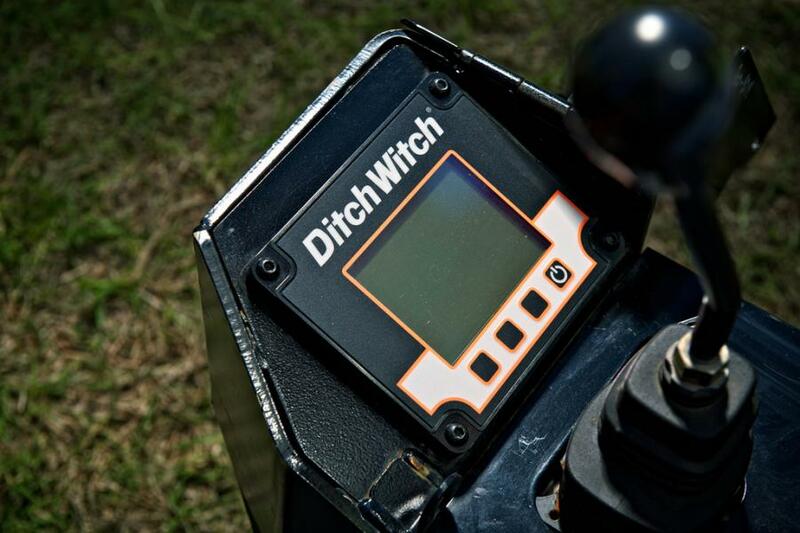 The compact, maneuverable JT5 directional drill fits through a 36-inch yard gate; at 120 in long, it can be set up on the street without blocking traffic. 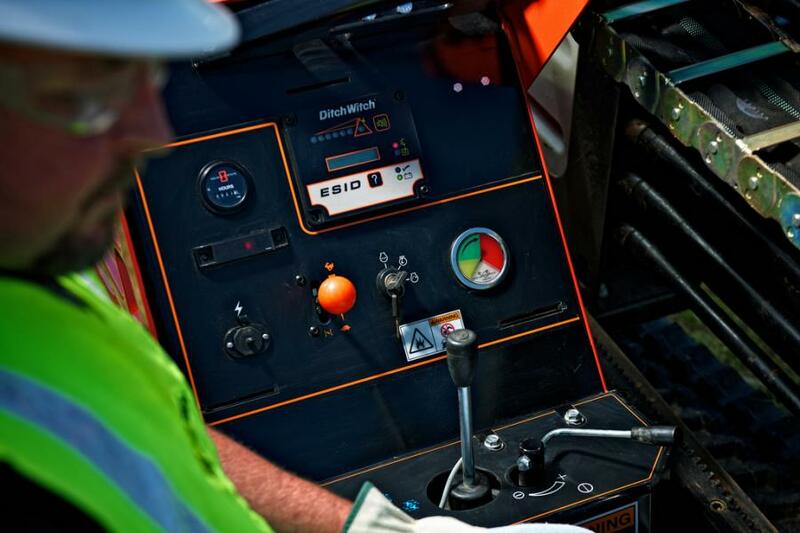 Ergonomic operator station features a stationary seat, fluid-shutoff control, and easy visibility of the remote display.